Food & Drink — Pop Up Picnic Co.
You can't have a celebration without food so we carefully crafted a menu that's sure to appeal to everyone on your guest list. We love variety so our charcuterie is no different! We've included our favorite items to create a platter that is tasty and filling. When you need to feed a crowd, this is your best bet! Each Pop Up Picnic Package comes with Phwatr & Spindrift sodas for you and your guests at no additional charge. We think hydrating appropriately is essential to any outdoor occasion so we've partnered with Phwatr, an alkaline antioxidant water company to provide high quality, super hydrating water at every Pop Up Picnic. Phwatr is filtered to remove chlorine, chloramines, herbicides, pesticides and pharmaceuticals. The water is then remineralized, making it alkaline (10pH) and ionized so that it has a negative charge- hyrdrating on a cellular level. What's better than water + a touch of fruit? 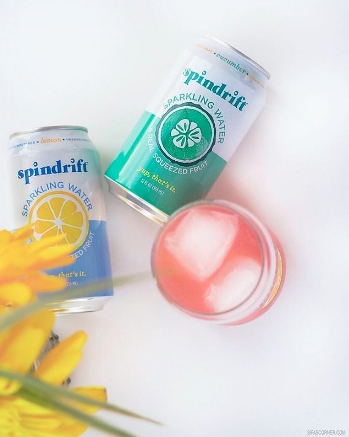 Spindrift is just that! There's no added sugar or sweeteners and they're absolutely delicious (and picnic friendly!) which is why you'll find them included in every Pop Up Picnic.